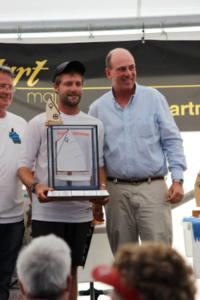 Sailing has always been the focus and driving passion for Alex Zimmermann. 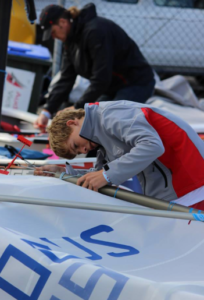 With a very successful international junior sailing career in many different types of classes, Alex uses his skills and knowledge as a top level coach these days. 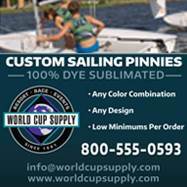 His dedication and commitment to his sailors is proven by their results, with many podium place finishes in major events, most notably the World Sailing Youth Championships. I caught up with Alex after he finished coaching the Australian team at the IODA Asian Championships to tell us a bit about himself. 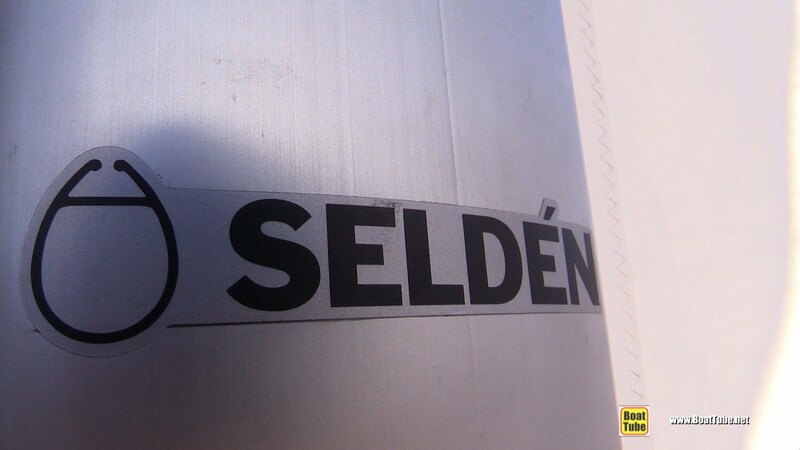 Even though I was born in Switzerland (because my parents did their masters and worked in Europe at the time), I am from Peru where I grew up since I was about a year old. I’m also a proud permanent resident of Australia where I have lived for the last 5 years. Sailing has driven me to learn 4 languages (SPA, GER, ENG, ITA) and taken me to over 53 countries. Through my family. My grandpa, dad, uncles, cousins, older sister were all doing it. As a toddler one of my first memories was just loving every time my dad would take me out on his Sunfish cockpit to sail around the coast of Peru. The first time I jumped on an Optimist was when I was 4 years old, I remember starting to race at about 6 years old. I was pretty bad at it but loved it! Why did racing appeal to you? I was highly inspired by what the older generation of Optimist sailors had achieved in Peru, podium finishes at the World Championships and TR World Titles. To see them receiving awards from the President of Peru, national Parliament and big billboards at the club was definitely a huge inspiration. I also never felt any pressure by my parents to compete, something I am now very grateful for, it was always pure passion and my own inner desire to compete what kept me engaged. This I always felt was a huge advantage over the rest. What boats did you sail when you started out? 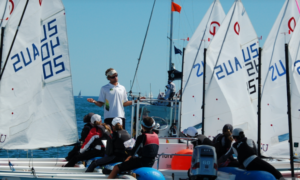 What were some of the highlights of your junior sailing career? 3 Time Sunfish World Champion 2012, 2013 and 2015. Had lots of great memories, particularly traveling to training camps and regattas overseas in the Optimist Class. 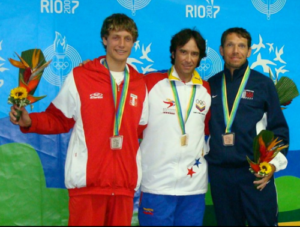 Apart from all the great friendships I made, I think the best highlight would be finishing ahead of a sailing legend like Paul Forester (3 times Olympic Medalist) and winning a Silver Medal at the 2007 Pan American Games in Rio de Janeiro. 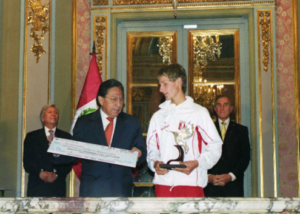 To date this has also been the only ever medal for Peru in Sailing at the Pan American Games which was then topped with being elected by the Olympic Committee of Peru as the best male male athlete of the country in 2007 at 17 years. 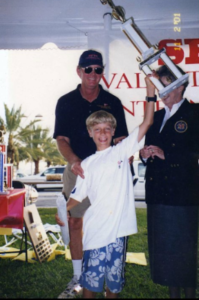 How do you look back on the experience of traveling to compete in regattas? I had the best childhood I could have ever dreamed off and I don’t say this lightly – missing school, traveling the world with my team-mates, making international friendships that are still going strong today and discovering amazing cultures while doing something I loved was out of a movie for any kid my age. As a coach these days, I always keep reminding my sailors of how privileged they are to be living the life that they are and all the opportunities that they get. When did you decide to start coaching? I was one of the youngest and most undersized sailors doing the international circuit in the Laser Class, yet my results in the 4.7s and Radial Class granted me an Emerging Nations Program Scholarship to fly to Australia and do 5 blocks of 3 week training camps led by Tom Slingsby’s former Coach Arthur Brett as well as 2000 Olympic Gold Medalist Belinda Stowell in Fremantle, prior to the Perth 2011 World Championships. It was tough but I really wanted to give the 2012 London Olympics the biggest shot I could. It was an incredible journey but unfortunately I fell short. Not long after the last Laser Worlds in 2012, Tania Elias Calles 4 –time Olympian from Mexico sent me a message inviting me to be part of her team as a sparring in the final stretch of her training. These were going to be her last Games and she had just came out of a nasty injury. We spent 3 incredible weeks training with her and her multi disciplinary team (coach, fitness trainer, physio) and Vaughn Harrison founder of the International Sailing Academy. She managed her best Olympic result finishing 10th. It was then when I realized how gratifying it was to help others achieve their dreams and I believe this is what hooked me to do more and more coaching. What interested you in coaching? I always had great admiration for my coaches who played a huge role in my life. I felt it was important to give back to the future generations. I had volunteered a bit of my time in Peru but it only officially started when I decided to move to Perth, Australia in 2013. I needed to find a job that would help me fund my accommodation and college expenses. I could see that Australia had the best Olympic Team in the world but it was also quite visible that there were huge gaps at the junior and somewhat youth level. 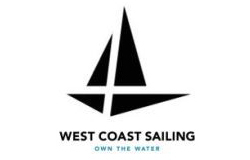 I thought I may as well combine my sailing experience and passion to develop competitive teams in Western Australia. Luckily after achieving solid results with the kids I was coaching I was then selected to coach the international Optimist teams followed by a coaching role for the sailing federation. Peru, Australia, New Zealand, Singapore, Myanmar, Argentina, USA, Canada, Italy. 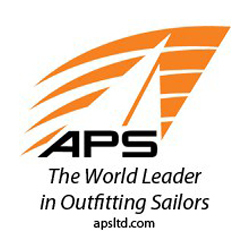 What qualities make a junior sailor successful? Its funny, I was just having a chat about this with my manager Elise Reicici (Gold in Beijing 2008 470s). The trait that the Olympic Coaches ask from us more frequently is for junior sailors to have the ability to ‘self-direct’ their learning. One could say this is ironic but our goal as coaches is for our sailors to develop their own critical thinking, systems, routines and self-sufficiency. Sailing is a sport with infinite variables that are constantly changing therefore full awareness and proactive actions are what count the most. Jayden Dalton setting up his Optimist sail completely independently from any other person, a trait often lost in current junior sailors. What are some of your favorite drills for training? When I am racing I always felt I had a big edge and could consistently ‘win the start’ which then made the rest of the race a lot easier. This is one of the areas in which I love to see my sailors being dominant. I have a starting-drill where I set a short line, send a sailor as the rabbit and he/she can port tack the line anytime. The key is to cross when the fleet is least prepared, this works great in raising awareness and holding position for long periods of time. I also like to do a drill where we stretch the line ends quite far apart and force the fleet to start within the center of the line by putting a short funnel just ahead, this helps their confidence in using a transit and nailing their time/distance approach when they pull the trigger. I try to constantly introduce unforgettable ‘X factor sessions’ such as sailing till dark or going on a huge 10 mile down-winder taking my sailors out of their comfort zone in training. I feel I have done a good job when they go racing and tell me that the training we do was way harder. How do you manage the team’s expectations and your own? Probably the hardest tasks for a coach, particularly when living in isolated cities is the inherent lack of exposure from ‘big fleet events’. Without a doubt, one of the most challenging yet rewarding things I do when I am coaching is preparing sailors for national or international events when most of them have never experienced one before. The list of boxes they need to tick and skills to learn is endless. But if done correctly, this becomes a massive edge in their confidence as well. I feel I am still learning this but one of the keys is to be very strategic and focus on the things one can control which is performance and not results. Hence all my focus is mostly on their performance and mentality. I try to build confidence in my sailors by repetition and making difficult maneuvers, drills, races seem easy. 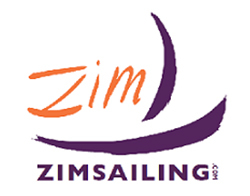 I also think that parents and sailors want to stay informed, I like getting my team sailors and parents together and run and induction evening with information, expectations and standard of the program they are about to embark on. I then try to hold regular meetings with the parents and State/National Associations to keep updating everyone on how we are going, what’s working and what could be done even better. What are some of your highlights from your coaching career thus far? A huge one would be developing the Optimist team we did in Perth in 2013, I came to my first AUS Nationals in 2014 having worked for about 8 months and with no real expectations. The overall sense of achievement of my team of WA sailors when they qualified to most of the international team selections was gigantic. I also got picked up as the Worlds Coach for Team AUS where we did pretty well and had a blast throughout a month of training and learning in Argentina. 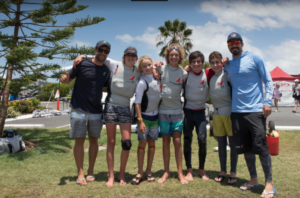 A funny anecdote from that 2014 AUS Opti National was when Romë Featherstone, a sailor who had sailed for a couple of seasons and was fairly inexperienced, only racing at his first ever Optimist Nationals, was stoked on the final day because he was sitting on 10th overall (a great result already in a fleet of around 350 boats). Suddenly during this last day which had 5 races scheduled, he started to notice how most of the sailors sitting higher than him on the leader board started to crack under pressure, posting pretty high scores. Earlier on the day he felt he had absolutely no chance of qualifying to the Worlds, moving up 5 places in one day was unheard of. Yet after seeing so many ‘shaky’ sailors breaking under pressure he gained even more confidence and ended up having an impressive day snatching the last spot of the worlds team that year. 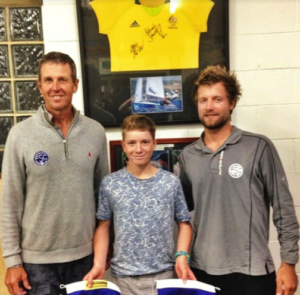 He then went into winning the following AUS Optimist Nationals in 2015, Laser 4.7 AUS Nationals in 2016, 420 AUS Nationals in 2017 & 2018 plus a Gold and a Silver medal in the last two Youth Worlds in i420’s. This serves as a perfect lesson in the sense that feeling confident or feeling stressed is actually a personal choice every sailor makes. There are only two paths: thrive under pressure or crack under pressure. You choose. Romë was only one of five Optimist sailors I coached in that generation that went into winning Youth Worlds Medals at the last two editions. 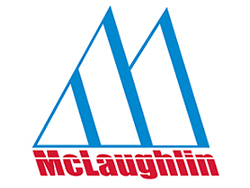 This more than anything just proofed to me that the passion and skill set for sailing at the highest level could be passed on into young kids in a systematic way. How have you noticed things changing from the days you were sailing up to today? Back on the day I remember we spent a lot more time with our team-mates and coaches. A normal day was to be dropped by my parents at the club at 9am, I wouldn’t see them again until 6pm. 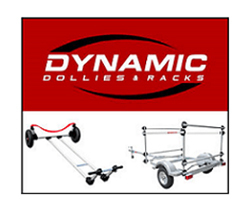 We would also travel with our coaches and team mates to clinics or regattas and be billeted by the local families that would go on for 10 days or longer. At the beginning it was difficult because I was fairly young and did miss my parents but this really pushed us to mature a lot sooner, fostered a great team culture and nurtured our grit and resilience very early on. I have met many great parents throughout my career as a sailor and coach, the kind of parents that enjoy to see their kids trying, failing, trying again, being accountable, building great friendships and memories in the process. Nevertheless, it’s a little sad sometimes to see ‘helicopter parents’, the sort of parents that are used to rigging their kids boats, rarely giving the kids any space to fail, try by their own, connect with their team-mates or coaches which really lowers their confidence and often ruins the whole team spirit if not managed accordingly. Without a doubt it’s always the most self-driven sailors, the ones that do everything on their own, the ones usually ending up at the front of the fleet in every race. These, are without a doubt, the ones enjoying it the most! I think kids need to understand that to be successful in this sport, one full of variables- discipline and attention to detail are essential. They are the ones who need to put the effort to develop their own routines, awareness and commitment to achieve THEIR own dreams and get the success and all the satisfaction that comes with it for their own and not to please their parents or coaches. What has your time working for Australian Sailing been like? Its been a great opportunity. Working in a relatively underdeveloped State like South Australia overseeing three different roles (performance, underpinning performance program and pathway officer) has given me the chance to help shape the whole sailing pathway from grassroots to performance. As the program expanded, it has also given me the chance to mentor new coaches and engage with all the State Associations and Clubs and sailors at all levels of the pathway. Being appointed and managed by Mark Robinson who is now RYA Olympic Performance Manager and Peter Conde now the Australian Institute of Sports Director was also a massive honor. I also love learning from coaches such as Michael Blackburn, Viktor Kovalenko or Emmett Lazich and being able to work alongside legends of the sport like Mat Belcher and Tessa Parkinson. Before I came to South Australia, coaches had to be flown in and out to run 2-3 day training blocks with little consistency as coaches would constantly change and not be there for the main regattas. This is my third year here and we have an impressive pathway with 49 sailors enrolled into the program which this year made us the second largest State underpinning program of the country. A lot of credit needs to go to Ian Leeson our State Regional Manager in charge of getting extra funding from the State and shaping our pathway. 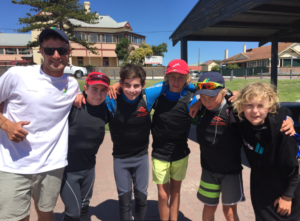 We not only have mentored new great coaches into our network but are currently developing the 49er and in the long-term setting up a National hub for Windsurf and Kiteboarding classes. 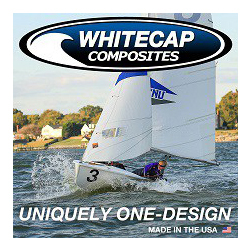 What classes of boats do you coach? 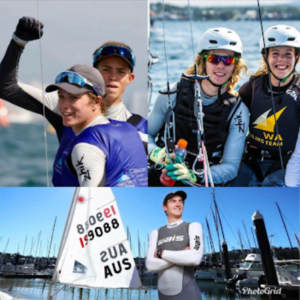 How have the last two Youth Worlds gone for sailors you’ve coached? I recently made a social media post #proudcoachmoment about the same 5 of my Optimist sailors that I was talking about earlier. They achieved 4 medals at the last two editions of the WS Youth Worlds (1x gold, 3x silvers) in the Laser, Nacra15 and 420 Classes. They were never able to do as many events as I would have wished in the Optimist Class but I always knew they had a lot of talent and self-drive. 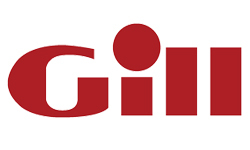 I am super proud to see how they went ‘all in’ to achieve such great results and I would bet my house they are on track for delivering Olympic medals in 2024 – 2028. What sets sailors like these apart from the rest? I think all of these sailors are highly driven, they are usually the ones pushing their parents to take them sailing, they are the ones that are always early for training ready to compete, try new things, ask a bunch of questions and keep learning always with a huge smile. Such attitude sets a really good contagious culture and everyone benefits from it. Where do you see junior sailing headed in the next few years? (Pre-warning) I am a little biased with the Optimist because it is a hugely competitive class that has produced many Youth Worlds and Olympic Champions. To answer this question, I think we are going to keep seeing great growth on this class but also expect to see sailors transitioning a lot quicker into other classes. 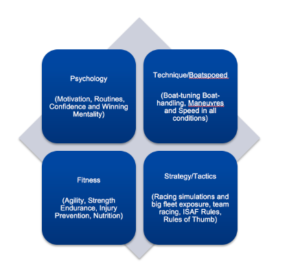 When I was younger, many coaches were opposed of me cross-training on other boats even if I’d do it for fun. I would personally like to see this being changed as it not only helps with staying engaged but also with boosting your skills. You just need to look around and most of the Olympic champions are blasting around in any boat they can get their hands on. I encourage my junior sailors to cross-train on double-handed boats, keelboats, foiling boats, windsurf, kitesurf, and keep expanding their skill sets. I just flew back from coaching a young AUS Team at this years Optimist Asian’s and Oceania’s Championships in Myanmar, a magnificent regatta. I was privileged to have had Adam Beashel (Emirates Team New Zealand strategist in the 2003, 2007 and foil trimmer in 2013 America’s Cup) alongside me also assisting our team. Adam is someone who has never sailed at the Olympics, yet has been super successful in his professional sailing career through his involvement with multiple world-class teams in skiffs, keelboats, TP52’s, offshore sailing, etc. He and I both shared the same dream to see juniors engaged in competitive classes but at the same time, having a taste of different classes and not only having the one Class or the one Olympic pathway but be able to make it in the many different walks of sailing. 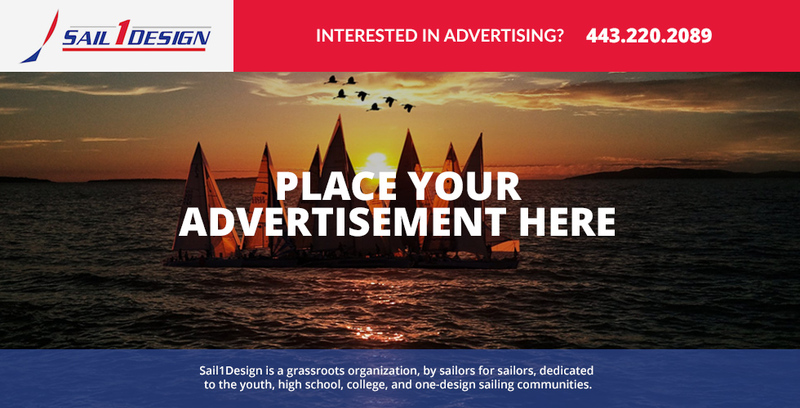 I really hope everyone in our sailing communities could think like this because I am sure participation and engagement would soar if done correctly. What type of sailing do you do when you aren’t coaching? I still sail my laser from time to time. I’d honestly jump on board at any opportunity I get, be it twilight sailing with friends, cruising with the family on a yacht or doing club racing on a J70 with my sailors in Fishing Bay Yacht Club like we did last summer in Virginia which was so much fun. I guess I can also mention that I bought a kitesurf and I am starting to get better at it! What goals do you have for yourself moving forward? At the moment I still feel there is a lot more that I can achieve with junior/youth development, I am still quite young and privileged to be coaching at the highest level of the Optimist, Laser and 420 Class. 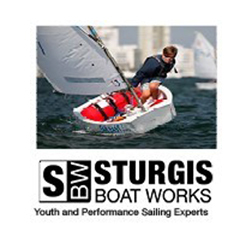 I have also been enjoying tweaking the pathway combining the best of my sailing and working experience in Peru, Australia and the US in developing highly accomplished sailors that are able to stay engaged and excel on their transition from a junior/ youth classes into senior classes. 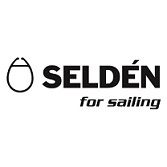 In the longer term, I feel I still I have some unfinished business with Olympic Sailing, I don’t know what the future holds but if the right opportunity comes, I see myself getting involved with either a campaign of my own or who knows, maybe supporting one of my up and coming sailors one day.